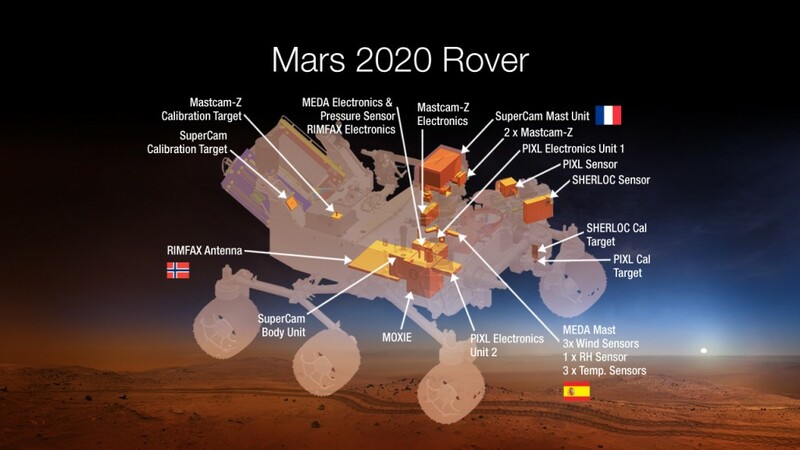 NASA is sending another rover to Mars in 2020, imaginatively named “Mars 2020.” Earlier this month, NASA announced Mars 2020’s scientific payload: seven instruments, costing roughly $130 million, all of which are, to use a technical term, super rad. However, despite their physical similarities, Mars 2020 represents a completely different philosophy of planetary exploration. Whereas Curiosity is studying Mars in situ, the primary goal of Mars 2020 is preparing a cache of samples for eventual return to Earth. Curiosity aims to determine whether environments conducive to life ever existed on Mars (they did); scientists will analyze samples collected by Mars 2020 in sophisticated laboratories on Earth, which might allow them to discover whether life or its precursors actually existed on Mars. Planetary scientists agree that sample return is crucial to answering pressing questions about Mars. But planning a sample return mission involves potential pitfalls worth knowing about. Every ten years, the planetary science community comes together to write a report, called a decadal survey, containing a prioritized list of missions and programs for the next decade. The last decadal survey, released in 2011, went all in on Mars sample return, endorsing a rover that would prepare a sample cache (then known as “MAX-C”) as the highest priority, large-class mission—but did not recommend any alternative medium- or large-class missions to Mars. A caching rover is only the first part of a sample return campaign. Another mission is required to pick up the cache and launch it into orbit around Mars. We’d need yet another spacecraft to bring this precious cargo back to Earth—not to mention all the specialized facilities we’d construct here to handle and analyze the samples! All of this could take ~30 years and cost more than $10 billion. Policymakers are reluctant to commit to hugely expensive research projects that won’t yield scientific results for several decades. This is always true, but especially now given our dismal fiscal climate and the cost and schedule overruns associated with JWST and, to a lesser extent, Curiosity. However, the decadal survey offered no Plan B for Mars exploration. NASA would either need to commit to sample return or smash the crown jewel of its own exploration program. Maybe this was a strategic attempt to force NASA to commit to a more ambitious plan than they’d otherwise undertake. Initially, it looked like this strategy, if it was a strategy, would fail. The Obama Administration’s budget request for fiscal year 2014 gutted Mars exploration, slashing hundreds of millions of dollars relative to the 2012 budget. NASA pulled out of a planned collaboration with the European ExoMars program. Congress reinstated funding for Mars exploration after a loud outcry from planetary scientists and enthusiasts. With this funding, NASA announced that Mars 2020 would happen and, later, that Mars 2020 would indeed focus on preparing a sample cache. SuperCam — an upgrade to Curiosity’s meme-worthy ChemCam, which will analyze the chemical composition of surface material, including organic material, from afar using a laser. Planetary Instrument for X-ray Lithochemistry (PIXL) — an X-ray fluorescence spectrometer and high-resolution imager to map samples of surface material in fine detail. Scanning Habitable Environments with Raman & Luminescence for Organics and Chemicals (SHERLOC) — like PIXL, will map surface material at high-resolution, but using laser Raman fluorescence spectroscopy. The Radar Imager for Mars’ Subsurface Experiment (RIMFAX) — ground-penetrating radar that can map geologic layers up to roughly half a kilometer below the surface, at 5-20 centimeter resolution, contributed by Norway. Mars Environmental Dynamics Analyzer (MEDA) — a weather station that can measure temperature, wind velocity, pressure, relative humidity, and dust characteristics, supplied by Spain. Mastcam-Z — two super fancy cameras that can zoom and take movies (hopefully of Mars bears or something) in twelve different wavelength bands in the visible and near infrared parts of the color spectrum. The Mars Oxygen ISRU Experiment (MOXIE) — an engineering demonstration experiment that will produce oxygen from atmospheric carbon dioxide, which future missions would find exceedingly helpful, since oxygen is part of rocket fuel and, err, breathable.